The University Sales Center Alliance is now represented in the great state of Pennsylvania! Michael J. DiPietro, MBA is an Assistant Professor of Marketing at LaSalle University (Philadelphia, PA) and is the Director of the Sale Center. Mike and his team worked diligently over the past several months to put together their application for Associate Membership in the USCA. Here is descriptive content from their application. Sales has always featured prominently in our marketing program with personal selling being one of the required courses in the major. Nearly 15 years ago, a prototype sales lab was created by our marketing faculty to enhance the teaching of our personal selling course. 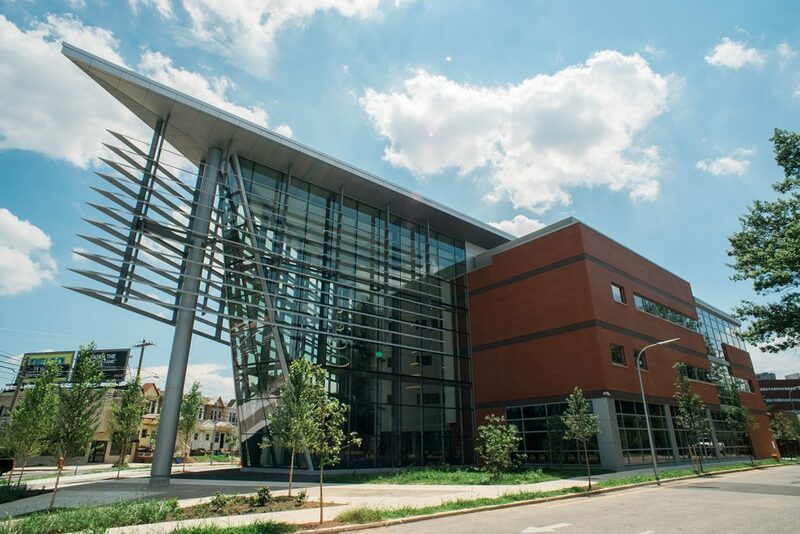 When plans for a new $35 million, 87,000 square foot building for the Business School was developed in 2013, a state-of-the-art sales training facility became one of its key features. Since moving into this new building (see picture) in January 2016, efforts to launch a sales center has been underway. In recent years, marketing has joined accounting as two of the most popular majors in the Business School and among the Top 5 majors in the University To date, we have secured our first corporate partner in AmerisourceBergen, ranked #11 on the 2017 Fortune 500 list and established an advisory board. The goal for the Sales Center is to become an accredited sales program offering premier sales education in the Mid-Atlantic region, with expertise in research, training and undergraduate development. Congratulations Mike! And thank you Mark and the rest of the Membership Committee for helping LaSalle through the application process.